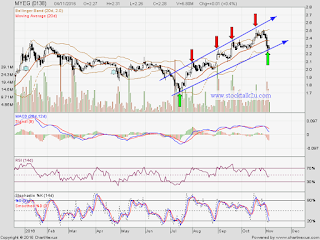 MYEG forming higher high & higher low. Will it rebound @ support level ? 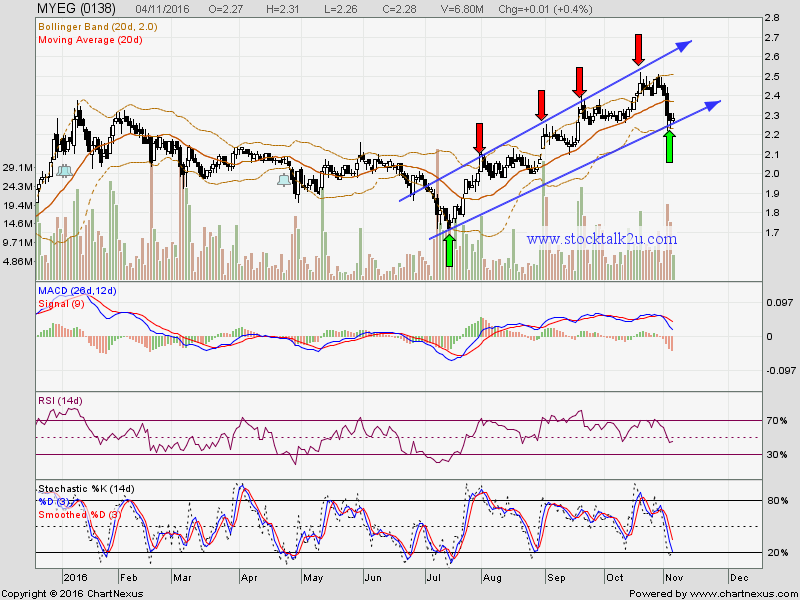 Immediate support @ RM2.26 level. Subsequent support @ RM2.22 level. Subsequent resistance @ RM2.51 level. Today already November so perhaps Bonus issue will be fall on coming December.